Everybody loves a good story. From fairy tales to legends, a story told well captures the imagination, compels us to learn more and most importantly, is etched on our minds for a long time after we hear it. It should come as no surprise that brands large and small have started to take advantage of storytelling in their marketing strategies. 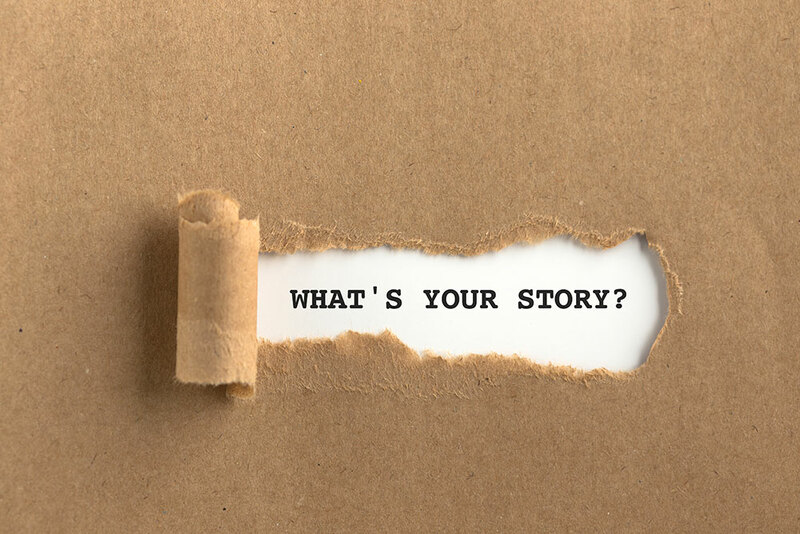 From telling tales of their heritage, to building stories around their products, brand stories are a great way to connect with your target audience emotionally. In this post, you’ll discover why and how you should incorporate a brand story into your marketing strategy. Before we dive into why and how you should develop and integrate a brand story into your marketing plan, let’s cover what we mean by a brand story. In marketing our goal is not only to shape the way a potential customer finds and evaluates your business but how they continue to see your business after engaging with you for products or services. Your brand story is the way people feel about your company, the emotions that they associate with your company, the values that they feel your company promotes, and the quality they associate with your products or services. While a compelling origin story is a great building block for a brand story, don’t get hamstrung by the idea that it is an essential element to every brand story. Instead, consider your brand story as an ongoing narrative that dictates how people will feel about your business and your brand. Why focus on your brand story? Whether you believe it or not, you’re currently writing your business’s brand story. You cannot avoid it. You can, however, decide to make shaping it a priority. The brand story you paint will color the lens through which your target audience, potential customers, customers, and brand champions view you. It is important that at each stage in their customer lifecycle they are presented with the same consistent narrative to maintain your cohesive brand development strategy. Just for a moment, think of your brand story as a literal tinted lens through which people see your company. Let’s say that you own a consulting firm and trust is your key value proposition. Now let’s say that the color blue represents this trust. Every time your customer or potential customer interacts with your brand, that lens needs to be tinted further blue to maintain your brand equity. But what if they deal with a poorly trained sales person who comes off as greedy? That interaction effects how they see your company, it will tint your brand story lens. Your greedy salesperson has just tinted your blue lens with green, and the color that they see your company through is now browner as we add in greedy green to the trustworthy blue tint. You will have to work harder now to turn that lens back to its original blue tint. No matter how your brand started out or where it is heading, your brand story is unique. No two brands are the same. Even if you sell the same products as another company, operate from the same geographical location or share the same target audience, there are ways you can make your story and brand stand out as one of a kind. A brand story will not only give your audience a narrative that encourages trust and an understanding of what you do, but it will also bring heart to your brand, helping you to make truly meaningful connections. Whether you tell your story through your marketing and advertising, or through the personal interactions you are having, these connections can help you to build brand loyalty and advocacy for many years to come. The first story to focus on is your own. Start by addressing the core questions. What is your purpose? What is your vision? What kind of people do you hire? What kind of values matter to your organization? The most important thing at this stage of the process is honesty. If your focus is on hiring the most talented people, then don’t say that you focus on hiring the most caring individuals. Nothing is worse than loosely held core values. Once you have established a true sense of who you are as a company, focus on communicating your vision. Start internally. Ensure that at every level of your company your core values are represented. Start communicating in terms of your values and your mission and your employees will internalize those values and better deliver on your mission. In addition to the internalization of your brand story, take your brand story to your audience in your marketing. Make sure that your content and copy, your design, your pricing strategy, and most importantly your actions reinforce the story you want to tell. The storytelling never truly ends as you continue to grow. From launching new products to offering discounts, each marketing campaign and offer should reach people on the most emotional level possible, reinforcing your brand story along the way. You could sell products, talk about features and explain your business all day long, but when many purchasing decisions are based on emotion, it’s important to factor this into your marketing wherever possible. A business that deals in facts and figures may fail to connect with its target audience because the emotional component is simply not there. A business like this is nothing more than a commodity, able to compete on features and price only. Once you understand your customer journey and your own brand story, you can replace the hard sell with captivating and compelling stories that illustrate what you do and the problem you aim to solve. Brands that tell their story well can engage their target audience and build meaningful relationships that last for years. In other words, a fairy-tale ending. If you need help from a top branding agency in Houston, the experts at MARION can help. Our Houston marketing agency has over 30 years of experience with business branding. Contact us today for help with your branding efforts!